Terri Jordan joined Crystal IS in 2011. Her passion is bringing clean tech innovations to the global community. Terri has extensive experience as a business development executive in energy, environment and materials. Before joining Crystal IS she led business development worldwide at Konarka Technologies, Inc., a solar panel manufacturer. Prior to this she spent 15 years in positions of increasing leadership responsibility at GE in technology, market development and quality roles, all focused on materials-based businesses. She also was formerly Director of Global Marketing for Victrex plc, a high performance materials company. 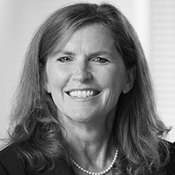 Terri serves as an advisor to several organizations and forums involving energy and environment. She holds a Ph.D. and M.S. in Materials Science from the University of Connecticut. In her free time she enjoys triathlons, yoga and the great outdoors. With our elevated concern and anxiety concerning Ebola and other illnesses, the world has never felt so small or our health so fragile. Today, any outbreak—no matter where it happens—threatens our sense of safety. In underdeveloped regions in particular, multi-drug resistant organisms (particularly TB) have created a major global health issue. Finding faster, more accurate technologies to detect and help prevent airborne and waterborne diseases has become a universal imperative. For decades UV (ultra violet) germicidal irradiation has been an effective technique for dramatically reducing contagions in drinking water and healthcare facilities, however, technological limitations has prevented it from expanding into other applications. Today, advances in UV LEDs are making these applications possible. Innovative companies and leading edge researchers around the world, at places like Harvard University, are exploring radically innovative ways to apply UV wavelengths for new, broader and safer germicidal systems that can kill pathogens both in the air, in the water, and on surfaces—bringing hope to further eradicate diseases affecting millions the world. With more than 1.6 billion people lacking access to clean water, this breakthrough research and the tools that stem from the work could be true game changers. Our partners are focused on creating not just effective tools for air, surface and water disinfection, but rugged, durable ones that can be readily dispatched to developing nations where electricity and other infrastructure are unreliable at best. In this talk I’ll explore the revolutionary UV LED technology behind these innovations and how organizations have new opportunities to exploit the tech and build stronger, more advanced protection to our global public health.